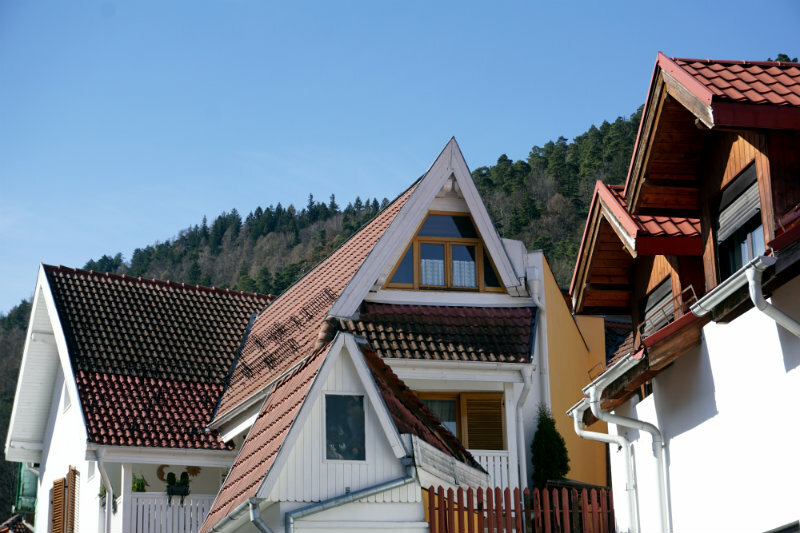 It’s the beginning of spring here and I’ve planned a weekend away from Bucharest, in the heart of the country, in Poiana Brasov, the mountain resort, and Brasov city. 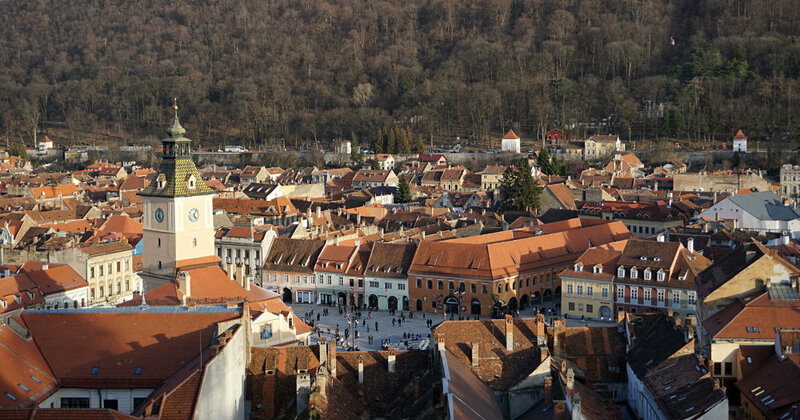 Brasov is a wonderful city in Transylvania, surrounded by the mountains with Saxon influences in art and cuisine. We spent most of the time outside, for sightseeing and hiking, so this kind of escape is suitable especially for nature lovers. 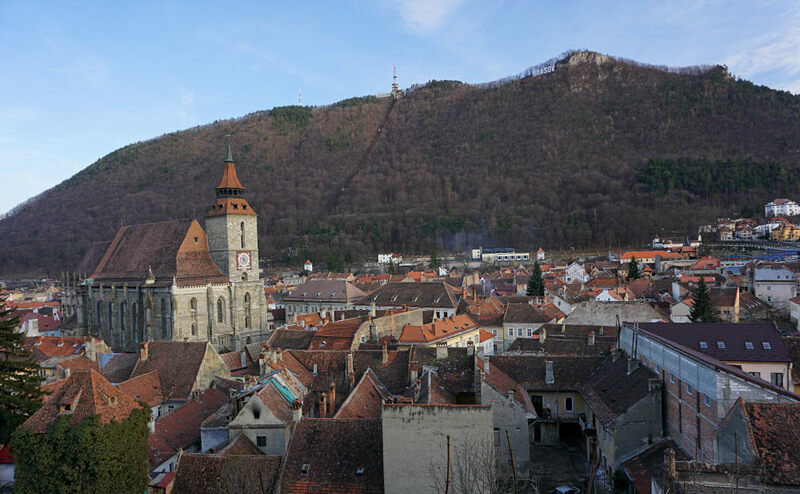 Brasov is just 170 km away – this means three hours by car from Bucharest (take route E60), in good traffic conditions and also about three hours by train. Tip: Valea Prahovei is very beautiful, with inspiring mountain landscapes and hiking routes, historic castles and with a lot of tourists in the weekends. So I recommend taking the train to Brasov, during season it’s the best way to avoid traffic jams. The train stops also in other mountains resorts such as Sinaia, Busteni, etc. Check transportation info here or here. 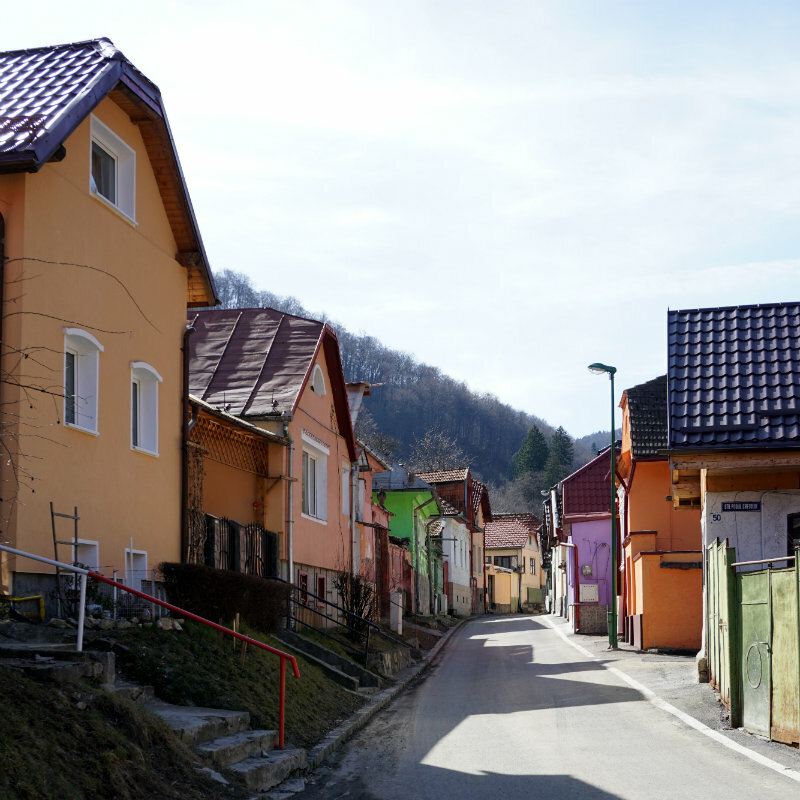 If you need or want to go to Poiana Brasov, you can take a bus, a taxi and even walk from Brasov. Take the “Drumul Vechi” (EN: The Old Road) and you`ll be there in less than two hours (9.5 km). Thus, taking the car brings you the flexibility of managing your program or your route stops. Me and my boyfriend planned to go to Poiana Brasov, but you can stop on the road at Sinaia for Peles Castle, at Bran for “Dracula`s” Castle, in Rasnov for its Fortress, or decide for a day hike route. 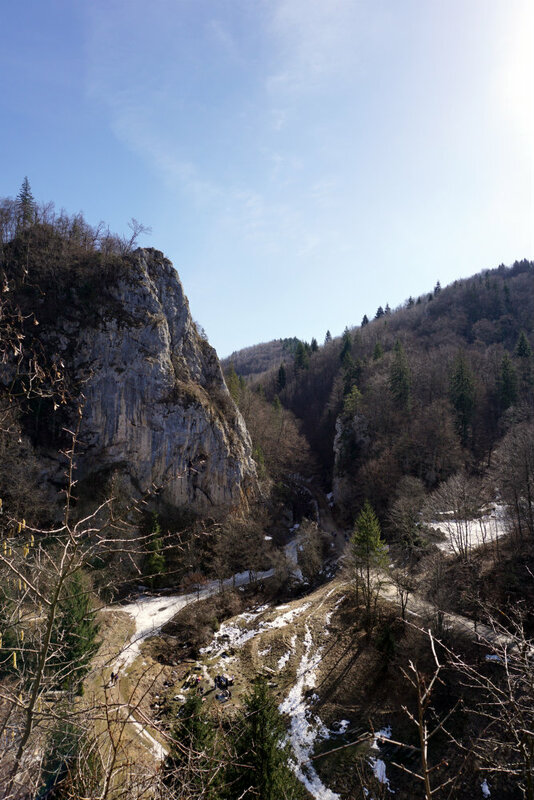 On our way to Poiana, we stopped at Valea Cetatii cave, newly found (1920) and organized for tourism (2010). It’s right after Rasnov Fortress (Cetatea Rasnov). I must admit, it’s not the most beautiful one I’ve seen, but it’s rather interesting while participating at a live concert, the acoustic is so good, there’s no need for an amp (but you have to confirm your participation in advance). For a bit of adrenaline rush, you can go back to the parking lot with the zipline. You need about an hour for this stop. Tip: Cetatea Rasnov is a must. I went there with another occasion, during the winter. You can skip the cave and rather visit the fortress. You’ll need about one hour or one hour and a half for this stop if you’re not in a hurry. Cabana Postavaru (ski resort mountaintop hotel cabin) was surely on the agenda and we choose to take a short hike to Postavaru. You have to stop for their tasteful food, the friendly atmosphere – enjoying a hot tea with the view of Bucegi mountains’ peaks is a blast. You can go back to the resort area by foot (or by ski). We didn’t know a different route than the “Drumul Rosu” slope, so we took the sideway of it. Avoid walking there with no proper mountain boots – at least three season boots – and after the ski lifts are off – after 4 pm – during the winter season. If weather conditions are good, you may want to ski there a bit (or maybe more, it’s easy to get in the mood) since Poiana Brasov is the largest ski area in Romania. Also called the “pearl” of Valea Prahovei, Poiana Brasov it’s probably the most expensive resort, but it pays off. What better way to end a day in the mountains than going to the spa? I usually don’t get fancy about accommodation and all other facilities, but this time we spoiled ourselves. I need to tell you about the wellness area: the pool is wonderful – 1,60 m, 28 degrees – perfect even for me, relaxation area is surrounded by proper music, saunas are hot (aren’t they all, haha?) and medium in size, but “la piece de resistance” is the hot tub outside. Breathing fresh air on a cold night with maximum two degrees and feeling the bubbles around you, it`s everything you want before going to sleep. Ana is from Brasov and she gave me some recommendations and sketched the city map on my tiny agenda. So, after a complete breakfast, coffee included for me, we packed and drove to Brasov City. We took a walk to Solomon`s Rocks (Pietrele lui Solomon), two hours or a little over – we had pit stops for photos and climbed the rocks. From the city center, Unirii Square, we dived into the small streets with houses of historic Schei district, churches, some new, some colorful, some old and historic, with traditional wood crafted gates and doors back from 18th century. 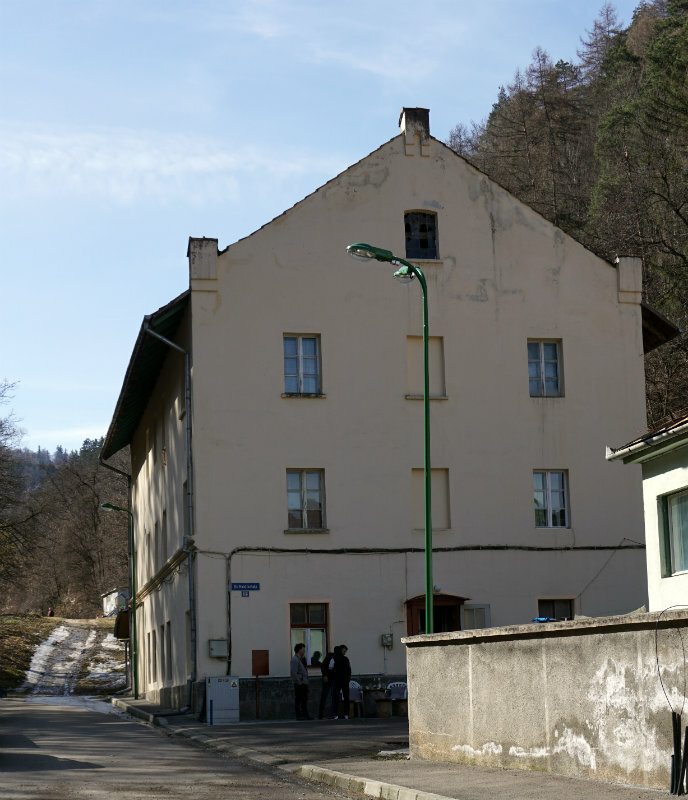 When the paved streets end, you`ll have Pellionis Mill on the right, an important mill in the area until 1911. However, this is now a block of flats. Most of the water sources that were supplying the city and the valley remained with no water for its mills. 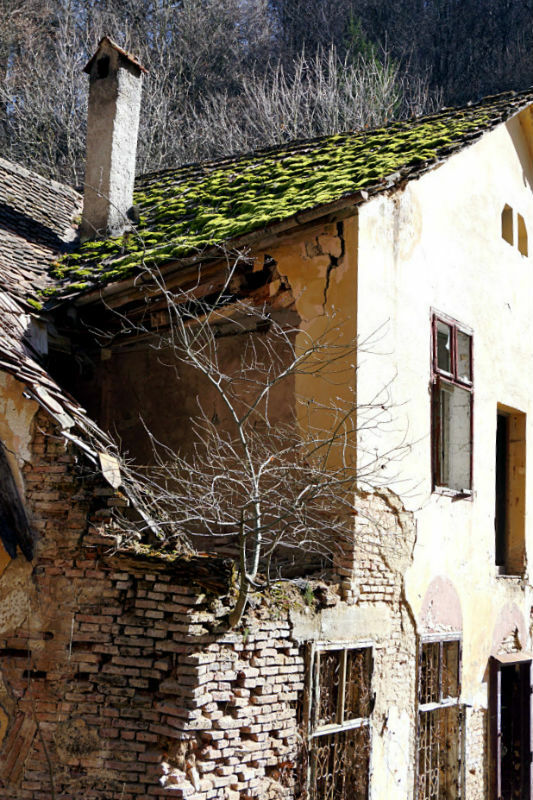 Quite close from the rocks and the picnic area, you’ll see a truly ruined building – Serban`s Mill – this one has no windows, only some graffiti inside, the roof coated in moss and a tree rising from the bricks. Don’t get scared by the citizens that got here for barbecue, walk a few more steps and search for the small waterfall somewhere in the left, go close to it and then walk up beside the water, it will get you to a clearing area. Here you’ll feel surrounded by the high rocks. 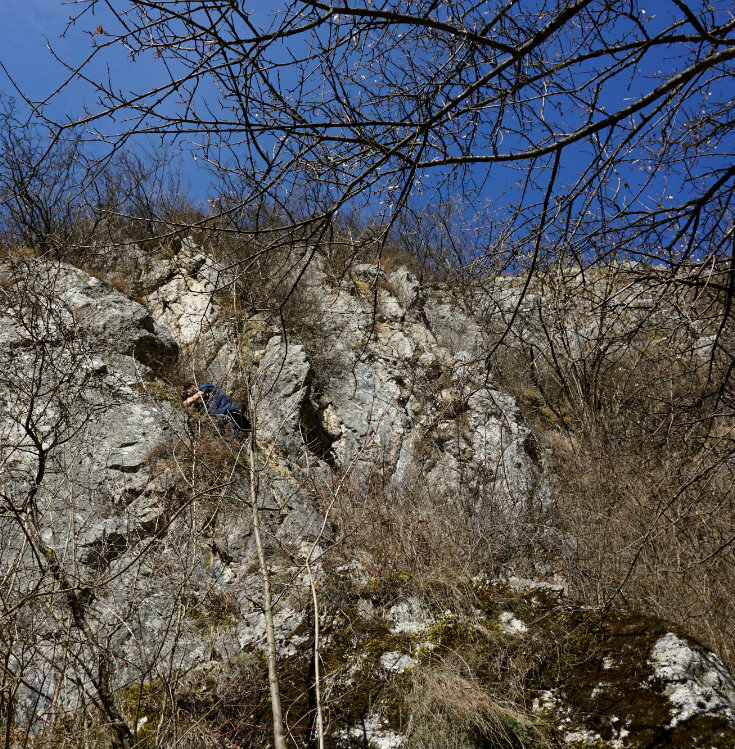 This is a dacian site and the Solomon’s Rocks almost connect one to each other – there’s only a narrow abyss that separates them. There’s one (or maybe two) long tables for picnic, the small river and the spring for your hydration. If you are the adventurous type, you won’t resist the temptation to climb the rocks, as we did. It seems easy, but there’s no assurance and no via ferrata organized – although it’s a good spot for this mountain sport. Go to the narrow pass (the defile) and then go back on that wide alley. Here you`ll see the people who surmount the walls or just the escalade`s route signs. Back to the city. If you are the first time here, stop in Unirii Square and take a breath, maybe have a drink. 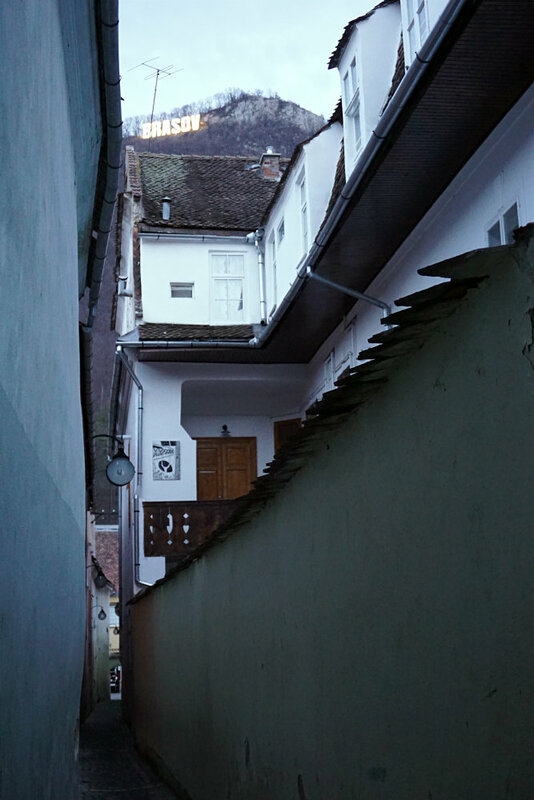 Go to the Nicolae’s Church and to the first Romanian school (dated 1495), both are in the same courtyard. It shouldn’t last more than an hour. was surely on my list. This is a beauty from medieval times and you have to take some photos here. 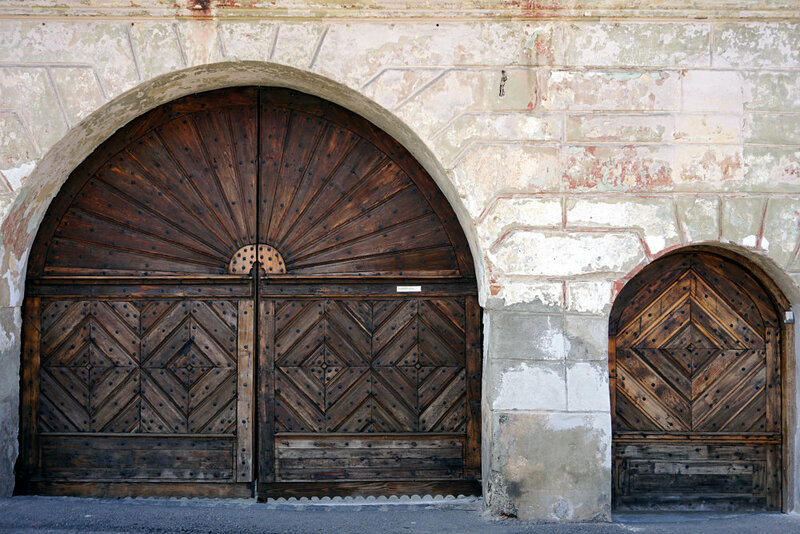 It has the original aspect of the gate, which was used initially for access into the Brasov fortress (during Saxon occupation). it`s only a 5 min walk from here. It will be hard for you to take a complete photo of it. You can take a shot from the old city center – Sfatului Square (Ro: Piata Sfatului) or from one of the two towers on the hill. The current name of this gothic landmark dates in 17th century, when a big fire reached Saint Maria Church, and so, smoked by the fire, it became “The Black Church”. We didn`t get in because we were already hungry and impatient to soak in the sun. 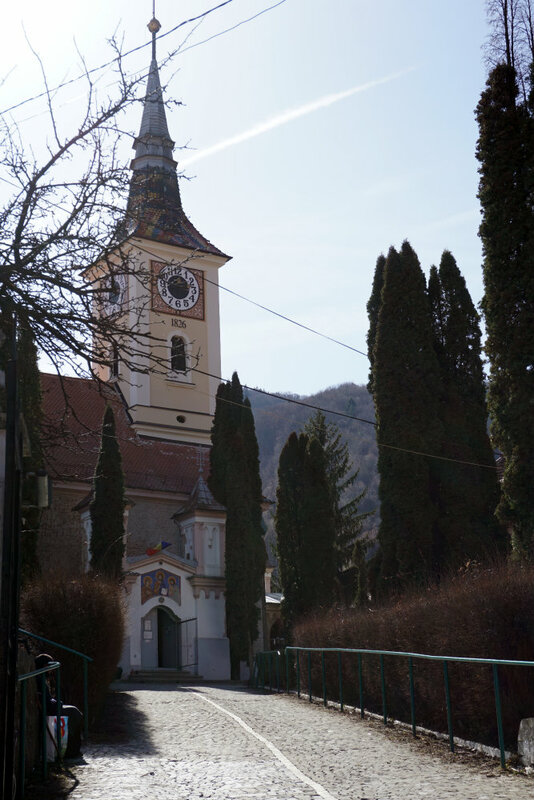 is an open playground – in the summer you have the spring fountain, the cafes, singers playing, exhibits from the Council Building (now Museum of Brasov) – a mountain photography was hosted in front of the building when we were there. The City Hall or the Sfatului SquareFrom here you can see the Black Tower (now actually white, as it was consolidated), one of the two watch towers. The other one it`s the White Tower (by name and colour). You can go there or explore the crowded streets in the old city center, especially the pedestrian one with restaurants, shops and souvenirs – Republicii Street. Cross the street (Muresenilor Street) from Sfatului Square, walk three min uphill and turn right. You’ll be in the area called “back of the walls” – walls of the medieval fortress. It`s a promenade area, with Graft river, Graft Bastion and stairs to the towers. You must go on top and enjoy the entire view of the city. You can take great shots from both of the towers. Just decide if you want to do this in daylight or if you want to capture the city night lights. I always enjoy panoramic views whether I’m traveling or I’m home. It`s a different feeling than being part of a certain area and walking among buildings or other landmarks. From here you`ll also see the Hollywoodian-style sign of the city – BRASOV – and a cable car which gets you to Tampa Mountain. It is cheap and it runs every 15 min, so it`s worth seeing the city from this part and walk around the sign. You can also stir into action and reach the top in about an hour, depending on the route you’ve chosen and your training. Take a photo on the Sforii Street – a very tiny street, only 1.20 meter. Admire the Old Town Fortifications and read about the history.